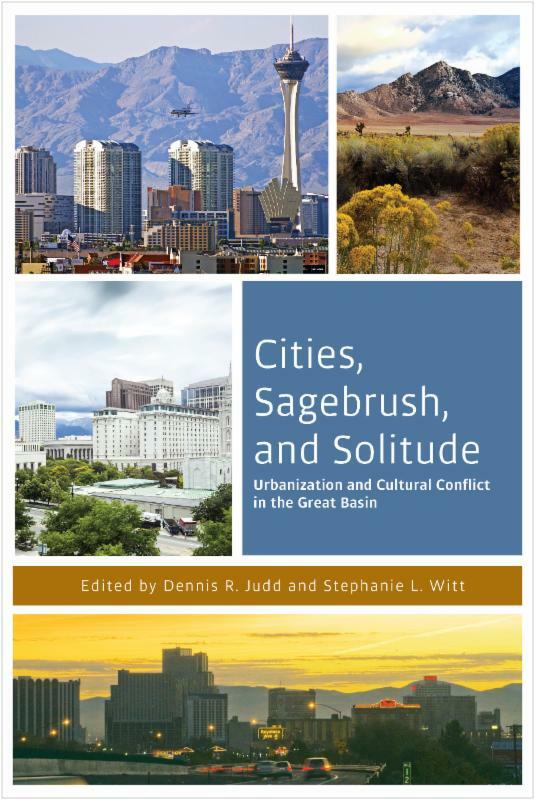 Cities, Sagebrush, and Solitude:Urbanization and Cultural Conflict in the Great Basin (University of Nevada Press 2015), is a pioneering study of the environmental and political impacts of rapid urban growth in the Great Basin. Edited by Dennis R. Judd and Stephanie L. Witt, Cities, Sagebrush, and Solitude explores the transformation of the largest desert in North America, the Great Basin, into America’s last urban frontier. In recent decades Reno, Las Vegas, Salt Lake City and Boise have become the anchors for sprawling metropolitan regions. The growth of these cities in a fragile desert climate poses a host of environmental challenges. The policies required to manage their impact, however, often collide with an entrenched political culture that has long resisted cooperative or governmental effort. The alchemical mixture of three ingredients–cities, aridity and a libertarian political outlook–make the Great Basin a compelling place to study. This book addresses a pressing question: Are large cities ultimately sustainable in such a fragile environment? Judd is a professor of political science at the University of Illinois at Chicago. He has published numerous books, including City Politics: The Political Economy of Urban America. Witt is a professor of public policy and administration at Boise State University. Her publications include Urban West: Governing Cities in Uncertain Times, coauthored with James B. Weatherby.